1 ден: Arrival in Delhi. Accomodation in a hotel 4 or 5 stars. 2 day: Breakfast. Tour of Delhi: Jamma mosque, The silver square, The Red fort. 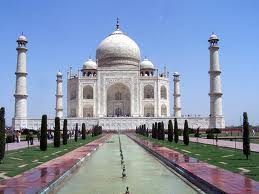 Travel to Agra. 3 day: Breakfast. Agra - the fortress and Taj Mahal. Return to Delhi.